Andhra Pradesh state government has been alleging inaction from the centre in regard to the metro rail project in Vizagwith an investment of Rs 8300 crore for Three corridors. Vizag: Great news for Vizagites! The AP cabinet has decided to go ahead with the Metro Rail in Visakhapatnam, a long-pending proposal, under the public-private partnership (PPP). 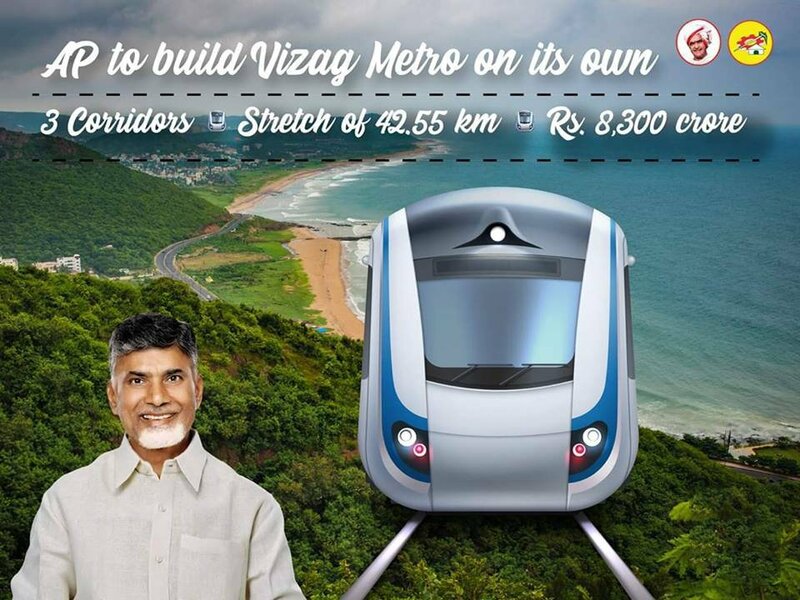 The three-corridor Vizag Metro would be built over a stretch of 42.55 km at a cost of Rs 8,300 crore. Earlier in January this year, CBN had made a fresh plea to the Centre for the construction of metro rail projects in Vijayawada and Visakhapatnamm but the Centre simply put the projects in cold storage. In regard to the metro rail project in Vizag, The Andhra Pradesh state government has been alleging inaction from the center. A recent cabinet meeting in the state has witnessed the ministers come forth with the decision to proceed with the much-awaited project under the Public-Private Partnership (PPP) model. With the available land in Vizag not being sufficient for the construction of the metro line, stations, parking spaces, the officials have been instructed to pool another 12 acres of land. The prestigious project is estimated to be built with an investment of Rs 8300 crore. 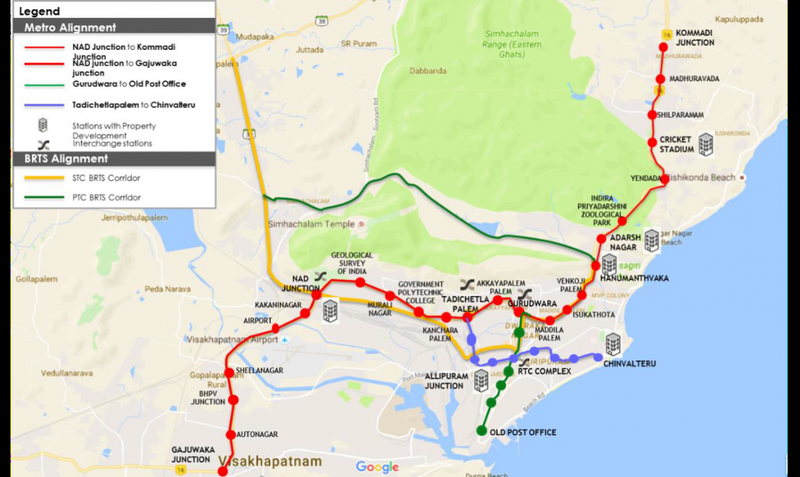 Extending over 42.55 km in Vizag, the metro would be running across different corridors in the city. The first route is being planned to be constructed from Gajuwaka to Kommadi (31 km). The second corridor would be constructed along the route of Gurudwara-Old Post Office (5.55 km). And the route from Thatichetlapalem-Chinna Waltair (6 km) would be constituting the third corridor. To set up the same on its own, the state government would be setting up the Rayalaseema Steel Corporation with a fund of Rs 2000 crore. The cabinet meeting on Tuesday also saw the ministers make crucial decisions on the project of Kadapa Steel Plant. Also, the cabinet decided to allot 2395.98 acres to develop a mega industrial hub in Prakasam district.